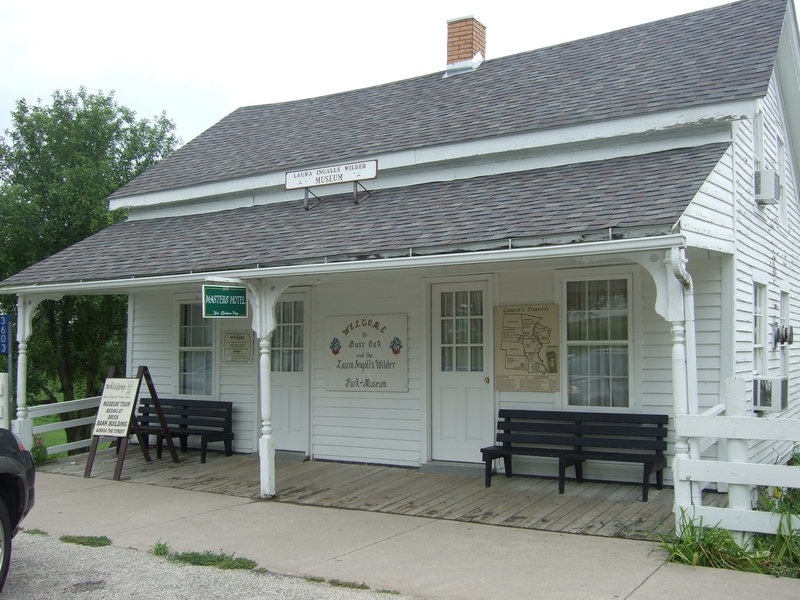 This entry was posted on October 24, 2015 at 5:45 pm and is filed under BOOKS BY OTHER AUTHORS, Death on the Prairie, Ingalls Dugout Site, Laura Ingalls Wilder Little House Wayside, Laura Ingalls Wilder Park & Museum. You can follow any responses to this entry through the RSS 2.0 feed. You can leave a response, or trackback from your own site. I must confess that I did not read all of the books. I watched many of the TV shows. So my Laura ideas are based more on the TV version. That being said, I just finished Death on the Prairie last night! It was great! The tension between the sisters was a realistic addition. I also am liking the growing relationship between Chloe and Roelke. Can’t wait for the next book……… Great job, you keep us wanting more. Ruth, thanks for sharing your experience. And for your kind words–I’m so glad you enjoyed Death on the Prairie! I’m hard at work on Chloe #7. 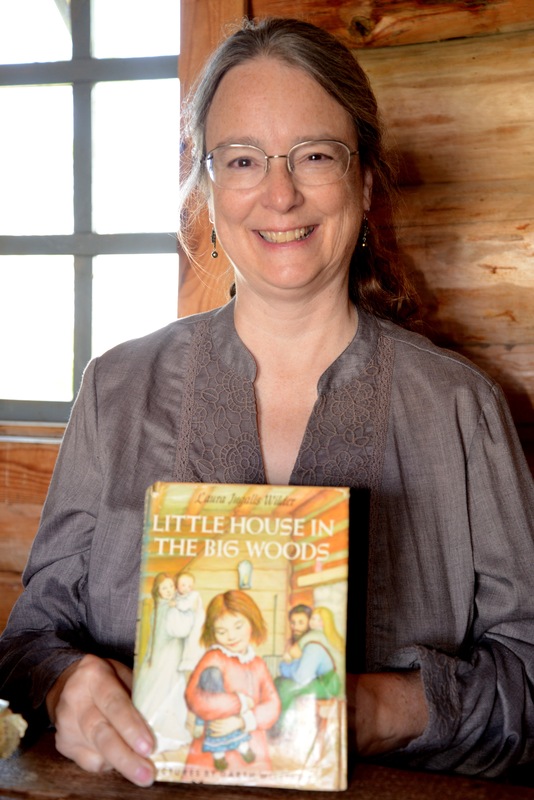 I grew up with the books, and in homage to Laura Ingalls Wilder, the main character in my middle grade historical fiction (Sweet Home Alaska, Penguin, Feb. 2016) is also a fan of Laura Ingalls Wilder. When one of FDRs programs moves her family to Alaska to become self-sufficient farmers, she gets to live her dream of pioneering like Laura. I’m putting your book on order now – can’t wait to read it! Carole, thanks for sharing! I am familiar with your “The Year We Were Famous”–such a wonderful book about an amazing story. Now I can’t wait to read the upcoming title! I wear glasses because I could not put down On the Banks of Plum Creek around the time I was 9. I read by the next farm’s yard light. I bought my sister the entire set as a Christmas gift a few years later because I wanted her to love them. I’ve been to 2 of the sights, the WI wayside in Pepin County and the hotel at Burr Oak, IA. This year’s calendar is of the Laura sites around the country. Tess, I’m sorry you had to read in dim light, but I can so relate! :>) Thanks for sharing those memories. You’ll love visiting the homesites. 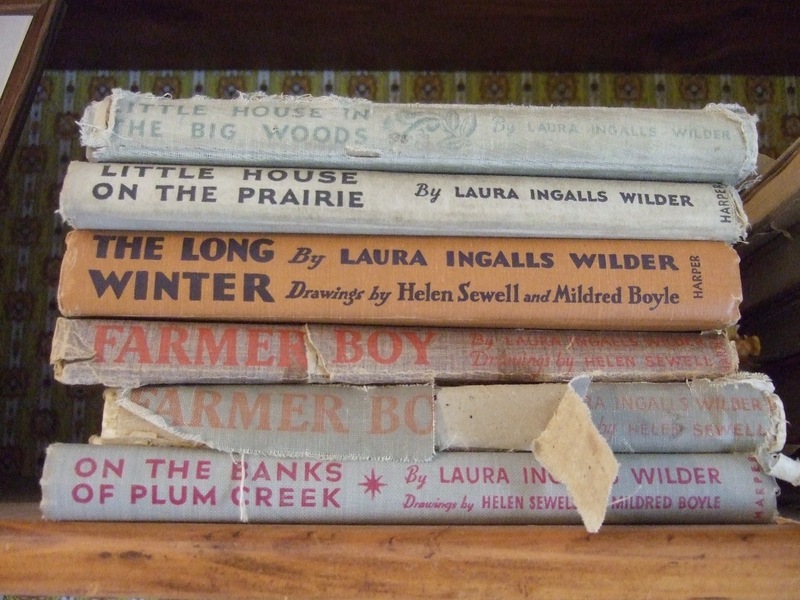 I read (and loved) some of the Laura Ingalls Wilder books when I was a child. When my daughters were young, I read all of the books to them at bedtime. They, too, fell in love with stories. As an adult, I better appreciate what a good writer she was. Her ability to evoke an image through simple words in one or two sentences is amazing! My daughter, an interpreter at Fort Snelling in Minneapolis, was one of the counselors at their Laura Ingalls Wilder camp this summer. She said if the kids were unruly or bored, all the counselors had to do was start reading from one of her books. The kids were mesmerized. Susan, thanks for sharing. Like you, I loved the books as a child, and then discovered them on whole new levels as an adult. Her descriptive talents are inspiring, and I’m very glad to know that kids still can fall under the spell. When can we expect #7? I grew up on the books. I value them most of all because the gave me some sense of what my grandparents’ lives had been like. That’s a lovely thought, Leaella. I’m definitely more a book person, although I did enjoy the TV show also. I love what you said about the show provoking people to learn more. Absolutely! I still read the books every couple years or so, and still love them. Thanks, Teresa! I first read that line about provoking people decades again, and although I’d have to look up other elements of that book, that one statement really stayed with me. I’m a book fan first and foremost. I went to a one room school in the mid 1950’s and we received a book box one a month from the county. I always volunteered to be “librarian” so I could get the LIW books first. Now I’m enjoying Death on the Prairie and am trying not to read it too fast. And – so glad you’re enjoying Death on the Prairie! I was introduced trough the books. And while there are many differences, I love both. I still watch Little House to this day. I haven’t read the books in a while, bit the set I have is very well loved and worn. I love that you love both! Great question! I grew up in the 70s, and I watched the show before I read the books. I love both. I read the books to my 9-year-old daughter a couple of years ago, and we’re now up to season 6 in watching the TV show. Like me, she loves both the books and the show. I really don’t understand why people would like one, and not like the other. Of course the show has its silly moments (and my daughter and I have at least one really good laugh per episode at things that probably weren’t meant to be funny), but most of the episodes hold up as great family-friendly entertainment. For entertainment’s sake, the show of course re-imagined what the Ingalls’ lives were like (Mary teaching at a blind school and getting married? Pa punching the lights out of anyone who made him angry?). 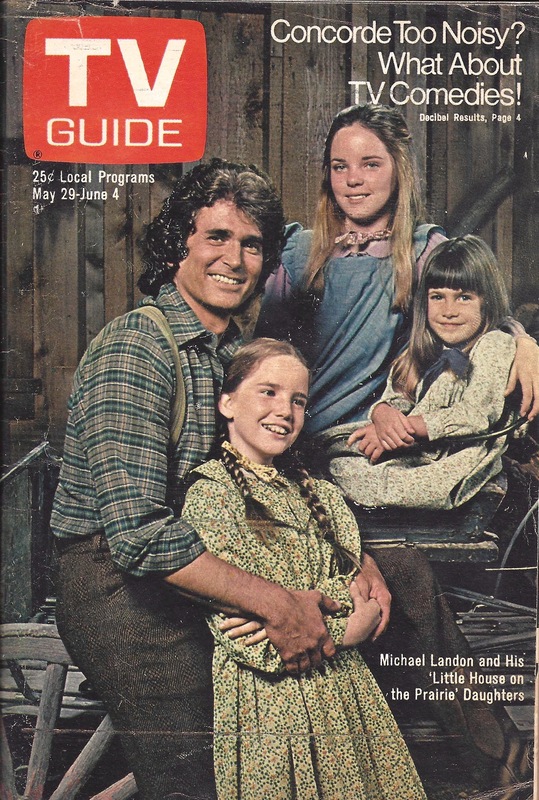 But some of the story lines, like the family’s moving to the city and managing a restaurant and hotel, seem lifted out of “Pioneer Girl.” I often wonder if that was a coincidence, or if the show’s creators did get the idea from that manuscript. Hi Gina, how special that you can share your own love of all things Little House with your daughter! Interesting question about the television series’ creators possibly being inspired by the Pioneer Girl manuscript. I have no idea, but now I’ll wonder too! I was introduced to little house on the prairie by the TV show. It was years later that I actually collected and read the books. I truly love both the program and the books. This past summer my husband and I drove to Mansfield, Missouri to visit the Laura Ingalls Wilder museum and their final home~Rocky Ridge Farm. I encourage everyone to go visit because it is so wonderful. They are building a new and bigger museum to house more of the historical artifacts that they have in storage. Before we left the little town of Mansfield, we visited the cemetery and saw the graves of Laura, Almanzo, and Rose Wilder Lane. In the gift shop I bought all kinds of books about Laura and her life. I generally read fiction but almost everything I bought was nonfiction and I have enjoyed learning more and more about Laura and her life and her family. It was such a wonderful experience to take a tour of Laura and Almanzo’s house and to see the actual furniture that they used. Laura even had a very small library in a section of one of the rooms. Many of the pieces of furniture were handbuilt by Almanzo. Thank you for this blog! I definitely want to read your newest book! Dina, thanks so much for sharing your experience! I didn’t know what to expect the first time I visited the Mansfield site, since I hadn’t read about it. All the other sites were so real in my imagination from reading the novels. Anyway, I completely agree with you–it is very special. The house feels like Laura just stepped out, and I loved seeing some of Almanzo’s handiwork. (A particular favorite–the stones he used in the chimney, some with fossils.) And some of the family artifacts on display in the museum were incredible to see. I’ve been following the development of the new museum, and can’t wait to visit again when it’s complete! Farmer Boy was the first chapter book I ever read, in second grade in 1977. That book launched a love of reading that continues to this day. I am so dying to visit some of the LIW sites someday, although I’ve been to her house in Missouri. The tv series was so different and I prefer the books. and I loved loved loved Pioneer Girl, published recently. Preordered it and read the whole thing the day it arrived. 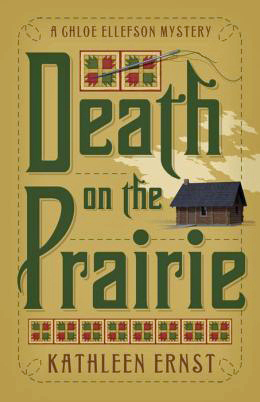 Are there other books before Death on the Prarie? I’m one of those series readers who has to read them in order. Hi Margaret – I didn’t read FB until after I’d read the others in the series, for some reason. But that actually worked OK; it was fun to revisit Almanzo as a boy after getting to know him as a young man. Like Laura, I was born in Pepin. Unlike her, I didn’t move away, but was lucky enough to be raised there! When I was eight I read “Little House in the Big Woods” for the first time. When Laura described leaving Pepin, going across the frozen Lake and looking back and seeing the big false front on the store..my world opened. I could walked down the hill to First Street and still see the big false front on what was once the store. Laura was real..just as History happened, not in some far away place, but right here where I stood. I loved the Books. Pat, how special that must have been! I read LHBW in my home in Maryland, and Wisconsin’s Big Woods and Pepin seemed exotic and so far away! It was very exciting for me when, decades later, I finally was able to visit Pepin. Have you read any books by Susan Wittig Albert? She has one, A Wilder Rose, out recently, about how Laura’s books were actually created. I won’t say more because I don’t want to spoil your view of Laura and her books, if you are not already aware of this. I probably would have preferred not to have known about this, myself. I prefer books to tv show, though I’ve seen a number (by no means all) of the tv shows over the years. Hi Melissa – Thanks for sharing! I am familiar with Susan’s book, as well as “Ghost in the Little House.” “Pioneer Girl,” Laura’s autobiography which was published (and richly annotated) last year also reveals a lot of information behind the curtain. My humble opinion is that Laura had a great deal of talent, and while Rose certainly had publishing connections and edited the books, sometimes heavily, Laura had her own gifts. I’ve read some of her work that was never edited by Rose, such as her diary of the trip to Missouri, and some of the writing is lovely, some the people she met along the way well-drawn. I suspect that her years of “seeing” for Mary helped hone her natural storytelling and descriptive talents. I didn’t read Wilder Rose, after a friend read it and disliked it a great deal–I decided I’d rather not read it, accurate or not. I like your idea of Laura being a good storyteller, and needing to be descriptive, for Mary’s sake. Melissa, thanks for sharing your thoughts. As I just mentioned in response to another comment, we can choose where we want to land on this topic! In particular, I’ve always been struck by Laura being told she must become Mary’s “eyes.” As a writer, I marvel at (and envy!) her descriptive ability, but she had lots and lots of practice in painting pictures with words. Dina, so glad you enjoyed the post. I think many of us who loved the books so very much wrestle with any idea that detracts from our experience. That’s one of the things Chloe struggles with in Death on the Prairie. The nice thing is we all get to choose how far we do or don’t want to go with learning the backstory! I LOVE LOVE all of Laura’s books and have read them more times than I can count. As an elementary teacher, I often did a unit on Laura Ingalls Wilder usually in February around her birthday. I never missed the tv show either and realized some of it was fiction but a lot of the stories were based on real life people and situations. I am a huge fan of Michael Landon as well. I am 70 yeasrs olf and still love to read the books and watch the reruns. Last week we visited Mansfield, Mo. I was so sad that the museum and house were closed for the winter but I visited the gift shop and found lots of things to buy and enjoy. The girl told me to roam all around and take pictures so I did. Judy, thanks for sharing your experiences! I would have loved to have a unit on Laura Ingalls Wilder as a child, but fortunately my parents made sure we had the books. Like you, I have reread them many times and often find new layers and details to savor. I was introduced to Laura through the TV series. I believe my parents watched it and I was too little to read the books. Once I was old enough to read, I devoured all the books over and over again and the TV show has faded from memory. I had to buy The Little House Cookbook when the library was weeding their children’s non-fiction collection. It still had the old card inside with due dates stamped on it and I know some of those were checked out to me. I tried watching the show recently but it just wasn’t for me. There was no accuracy in the story let alone historical accuracy. One of the first sites I found on the Internet was about Laura Ingalls Wilder. I found my tattered copy of Little House in the Big Woods I hope to pass on to my older niece soon and I also found a short biography of Laura by William Anderson and a photo my grandparents sent from one of the home sites. The Little House books led to the American Girl books and of course Kirsten, the pioneer. We obviously have a lot in common! William Anderson does great work (and he’s a nice guy, too). He talked with a lot of people in De Smet who had known the family, and had a lot to do with many artifacts finding their way to the museum there. I suppose that you must to make a movie or a serie about this history. It’s Very interesting for us!